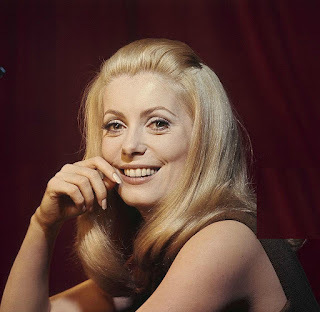 Here is a famous song performed by the great jazz singer Helen Merrill, chosen to illustrate the beauty of Catherine Deneuve. Catherine Deneuve (born Catherine Fabienne Dorléac in 1943 in Paris, France) is an Academy Award-nominated French actress. 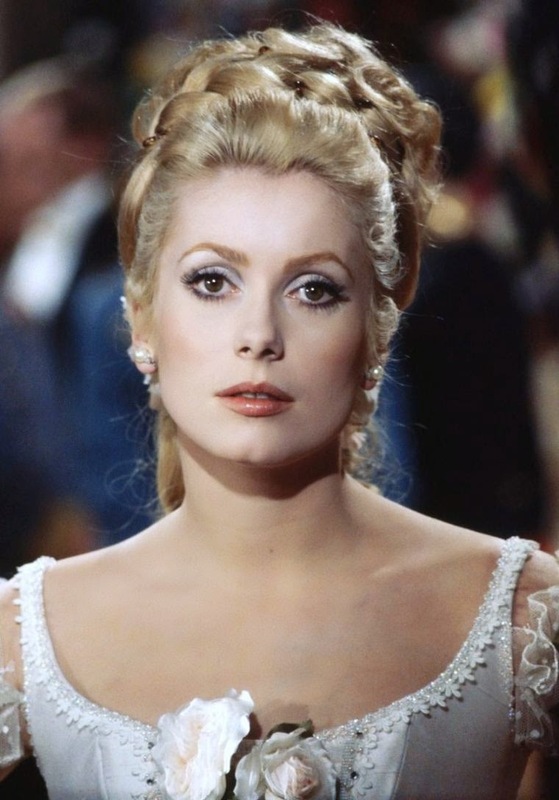 A model of French elegance and one of the best-respected actresses in the French film industry, Catherine Deneuve made her reputation playing a series of beautiful ice maidens for directors such as Luis Buñuel and Roman Polanski. She made her screen debut at the age of 13, with a role in the 1956 film "Les Collégiennes", and went on to make a string of films with directors such as Roger Vadim (with whom she had a boy) before getting her breakthrough role in Jacques Demy's charming musical, "Les Parapluies de Cherbourg" (1964). The burst of stardom that accompanied her portrayal led to two of her archetypal ice maiden roles, first in Roman Polanski's terrifying "Répulsion" in 1965 and then in Buñuel's 1967 "Belle de Jour". Deneuve's startling portrayal of an icy, sexually adventurous housewife in the latter film helped to establish her as one of the most remarkable and compelling actresses of her generation. She further demonstrated her talent that year in Demy's "Umbrellas" musical follow-up, "Les Demoiselles de Rochefort", which she starred in with her sister, Françoise Dorléac. Deneuve continued to work steadily through the 1960's and 1970's in films such as the 1970 "Tristana" (her second collaboration with Buñuel) and "A Slightly Pregnant Man" (1973), in which she starred with her lover at the time, Marcello Mastroianni (with whom she had a girl). 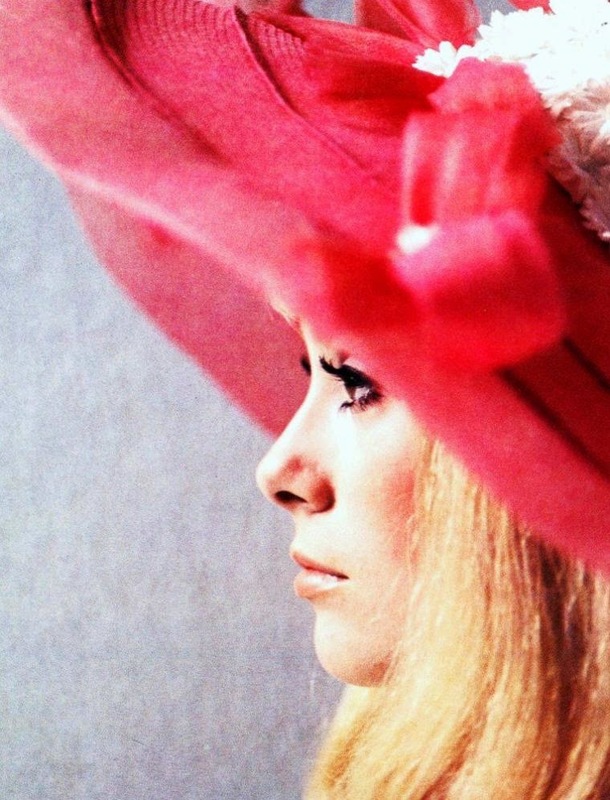 Despite or perhaps because of her stardom, Deneuve chose to avoid Hollywood, limiting her appearances in American films to "The April Fools" (1969) and "Hustle" (1975). Deneuve also did prolific work through the 1980's, appearing in such films as François Truffaut's "Le Dernier Métro" (1980) (for which she won the César Award for Best Actress) and Tony Scott's "The Hunger" (1983), in which she plays a vampire alongside David Bowie and Susan Sarandon. 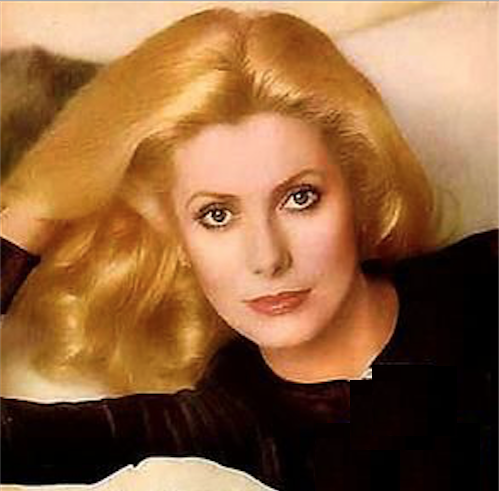 In the 1990's, Deneuve garnered further international acclaim for her roles in several films, including the 1992 film "Indochine" (for which she won a César Award and received an Academy Award nomination for Best Actress). Closing out the final years of the 1990's Deneuve remained consistently working in numerous films continuing to turn in compelling performances. In 2000 Deneuve received much critical attention when cast in the Lars von Trier's musical "Dancer in the Dark", which won the Palme d'Or at the Cannes Film Festival. 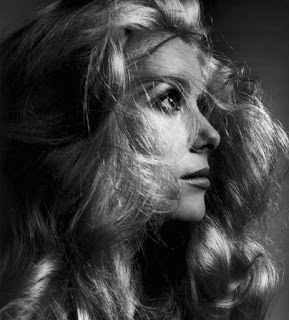 Deneuve was the face of Chanel N° 5 in the seventies and caused sales of the perfume to soar in the United States — so much so that the American press, captivated by her charm, nominated her as the world's most elegant woman. Her visage has also been used to symbolize "Marianne" (from 1985-2000), the national symbol of France, succeeding Brigitte Bardot. In 1995, she has been chosen by Empire (UK) magazine as one of the 100 Sexiest Stars in film history and in 1997 as one of the Top 100 Movie Stars of All Time.